On Wednesday I made plans to meet my hubby at his work and take him out to lunch. He works about 40 minutes from where we live and fortunately for me, there are several thrift stores between here and there. So after dropping the kids at school, I headed out to Goodwill. All I found there was a pair of jeans for myself. That's it. I then meandered over to another Goodwill, not too far away. This is one of those fun "bin" stores where everything is just heaped into bins and you have to dig to find the good stuff. Definitely not for the squeamish. I touched way too many pairs of underwear, thank you very much. The plus side of this whole experience is that you can actually get some pretty good stuff and for cheap! I didn't have all day, but could have easily spent a whole day there just digging and throwing, digging and throwing. They even roll carts away and bring out new carts while you are there if you are lucky. The first time I saw this happen, I was wondering why everyone was just standing around waiting. My strategy was this, I was looking for anything pink, lacy, pastelly, anything that had roses on it, creamy colored, white, denim, etc. It really was quite a work out and I'm glad I went alone as I was able to focus on my mission. Even all the crying babies didn't detour me. My approximately 1 1/2 hours there yielded some great junk as you can see here. Ready for this? I got all of this, plus a vintage wedding gown and vintage wood doll cradle (not pictured) for $32.00. The check out lady said if I wanted to go find something that was 2 lbs it would only be $25.00 as everything is by the pound and the more you buy the lower the per pound price is. Unfortunately I was running late and had to meet my guy, so I just happily paid my $32.00 and rolled my purchases out to my car. Here's a better picture of what I scored. 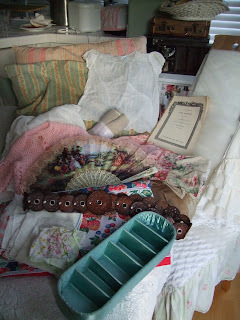 A couple ticking feather pillows, vintage baby dress, pink baby sweater, two partial bolts of tulle, old book of sheet music, vintage leather belt, several vintage hankies, Victorian style fan, green satin vanity box, satin roses pillow sham, floral pillow case, pc. of burlap, some tan woolish fabric, strawberry table cloth (not vintage), several misc. clothing items. 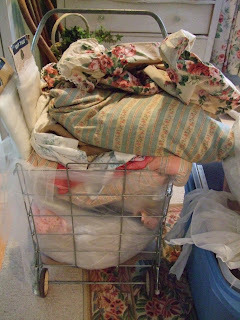 Oh, and the vintage shopping cart I rolled everything out in. Of course I threw everything that needed it into the wash for a good soaking. 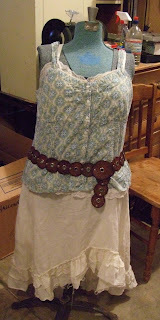 Here is one of my mannequins modeling some of the clothing items I got. I think she looks pretty cute. Maybe some cowboy boots, a hat and a denim jacket and she'll be all ready for Farm Chicks. Wait, maybe I should wear this to farm chicks. What do you think? Speaking of Farm Chicks, I know it's not until June, but I am getting really excited and rather than wait until the last couple weeks before, I am actually starting to get things ready now. The other night I spent a couple hours getting some crinolines together to take. Here is one that I gussied up a bit. It was pretty boring so I added the pink rick rack, some satin ribbon and a little flower for some extra cuteness. Much better, I think. I wish my picture was better. I'm just not getting good lighting. 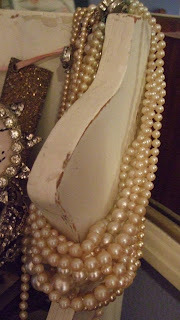 My buddy Joy did a post showing her great idea for displaying old pearl necklaces so I thought I would show you a picture of mine. I agree with her about the clasps being the coolest part. Back to my lunch date with my husband. We ended up going out to the Helvetia Tavern for burgers. It's this great place way out in the boonies that we used to go to all the time. In fact, just a little farther up the road from the Tavern is the little church we were married in, so after lunch we took a little stroll down memory lane and visited the church. On our way up to the church we passed the sign for this place. I made my sweet one stop so I could get a picture with my camera phone as I had accidentally left my camera at home. Well, I guess I'm not used to taking pics with my phone because when I got home to show the kids the picture, all that showed up was a picture of the road. Anyway, we knew they lived up in that area, just weren't sure exactly where. Now we know, we may just have to go get our pumpkins there next fall so we can say hi to the Roloff family. I was finally able to finish up my two swaps today. It felt so good to get that done. They will go out in the mail on Monday and I will post pictures after I know they have been received. I don't know if my swap partners ever read my blog, but if they do, I don't want to ruin the surprise. Have a fab weekend everyone! Oh wow! You found some great buys! I'm off to an estate sale this morning. Wish me luck! 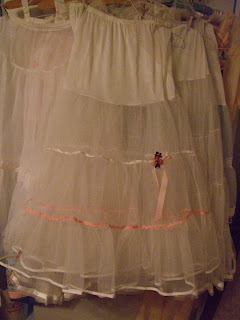 What fun you must have searching out old pretty pink things! and we have lots of pink roses all year! Hey Lisa - you scored yet again! Loved your previous post too. Your motto - if you have one of something, 8 more are better... my sentiment exactly! Thanks for the address to Monticello. I think we've must have driven by it before since we eat at The Old Country Kitchen on Stark St. everytime we're in Portland. I'll be stopping in to check it out next time we're down, that's for sure! 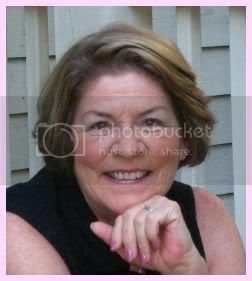 Thanks for visiting and leaving your name for my blog GIVE AWAY! Hey, I just saw you will be at the Farm Chicks!! I will be there too, it will be fun to visit, and I can see that I will love things you will have there!! You have a great blog! I've just discovered it and I'm currently reading through your archives. I have 3 antique booths in Raleigh, NC and reading blogs is a way for me to reach out and learn things from others. Thanks for taking the time to post your wonderful finds and images! My goodness you must be the Queen of stash!! This is one of the best collection of vintage goodies I have ever seen, I would have been breathless at the discovery of such treasures, well done you!! 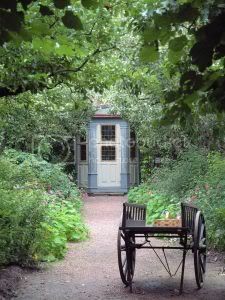 Shall pop back later for another look and drool, KN Linda Lilly Cottage. A Quick Post and a Thank You!